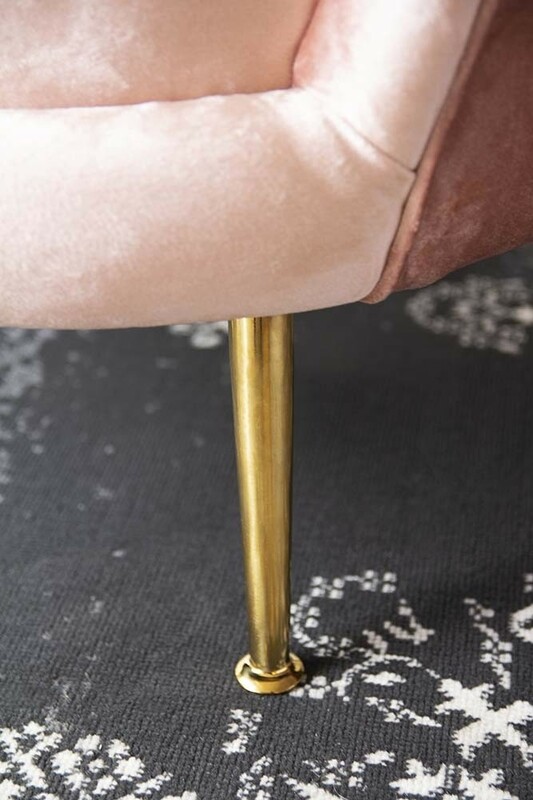 A thing of beauty the Rose Pink Velvet Petal Armchair is an absolute head turner. 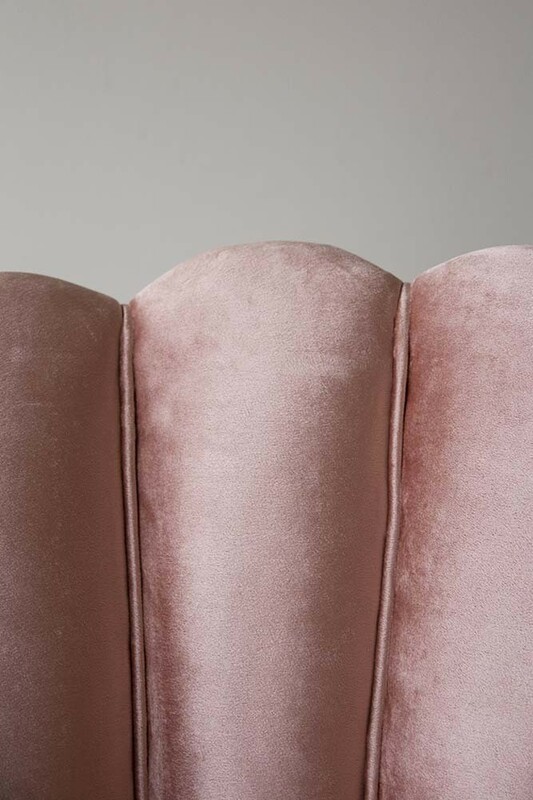 With a scalloped, oyster shaped back the cocooning Rose Pink Velvet Petal Armchair is upholstered in a luxury blush pink with luxe gold legs – an oh so sophisticated and elegant chair for your living rooms, bedrooms and hallways. A statement armchair, perfect for sipping cocktails on, the shell-shaped chair not only oozes 1950’s glamour, but is also super comfy to sit on too! 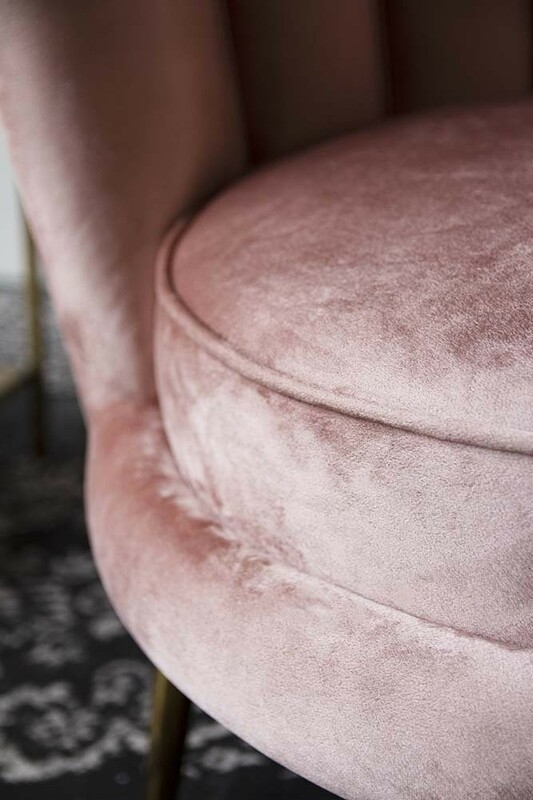 We think that the Rose Pink Velvet Petal Armchair would look fabulous no matter where you place it in the home, but if you fancy getting creative why not curate a style spot with this fabulous number? 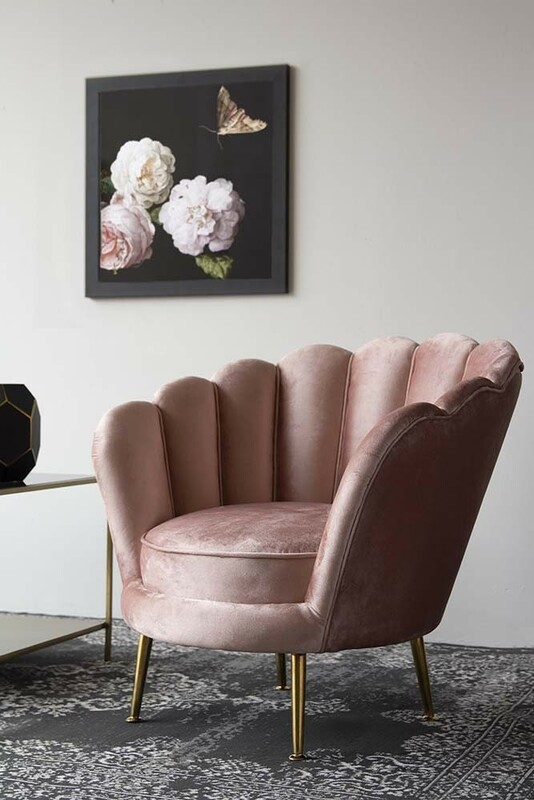 Accessorise the scene with side tables, glam accessories and lighting and we guarantee that the Rose Pink Velvet Petal Armchair will bring wow-factor to your home.